Make your favorite Cheesecake Factory Chicken Madeira recipe from home with our easy copycat recipe. Delicious chicken, creamy sauce, and a few side dishes you won't be able to resist. The best part about making restaurant recipes at home, is not having to pay a tip! And maybe getting to stay in your pajamas, and avoiding packing up all the kids. And it’s cheaper. Honestly there are a ton of reasons we love making restaurant recipes from home! The Chicken Madeira from The Cheesecake Factory has always been my favorite. We whipped it up at home for less than half the cost and time. Now the whole family loves it! We may never go out to eat again. For the best results in this recipe, you’ll want 1/4 inch thick chicken breasts. We know they don’t come that thin, so here are some simple instructions on pounding them thinner. Place one chicken breast at a time into a large resealable bag, pressing out as much air as possible when sealing. Remove the chicken breast and repeat with remaining chicken. This is a great time to cut off any unwanted fat on the chicken. 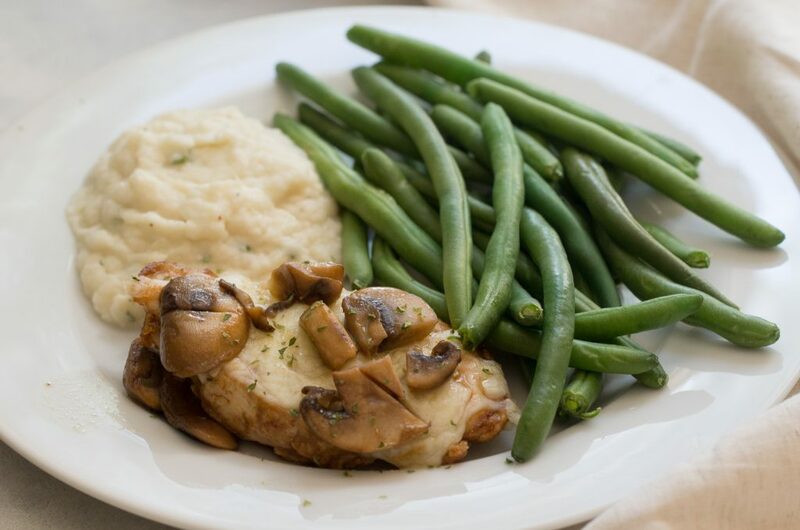 The tastiest part of this recipe is the delicious sauce drizzled on top, with sauteed mushrooms and a buttery balsamic flavor. In the same skillet used for cooking the chicken, melt 2 tablespoons of butter over medium heat. 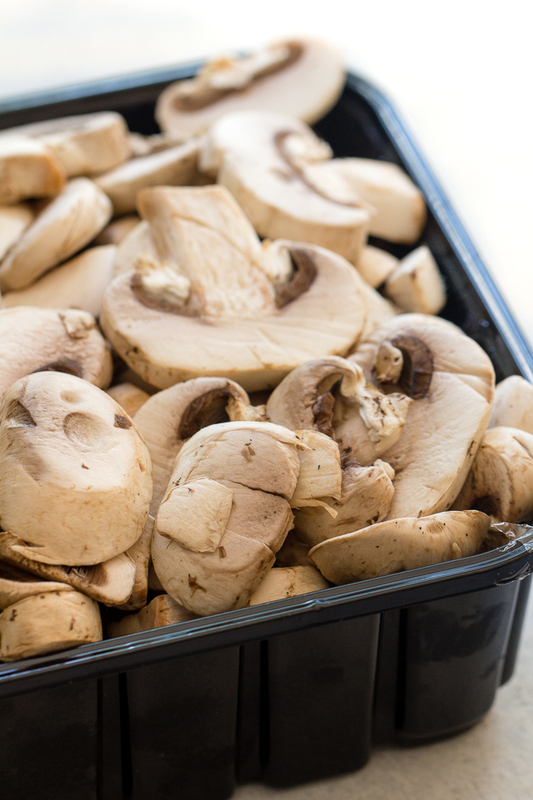 Add sliced white mushrooms and sauté for 2-3 minutes. Add remaining ingredients, balsamic vinaigrette, beef stock, and brown sugar and bring to a boil. Reduce heat and simmer for 20-25 minutes, until the sauce has reduced by about 50%. Drizzle this delicious sauce over your chicken and even your mashed potatoes! Chicken Madeira doesn’t taste quite as good without a delicious balsamic vinaigrette in the sauce and in the marinade. You can buy balsamic vinaigrette by the salad dressing at your grocery store, or whip up your own real quick at home. 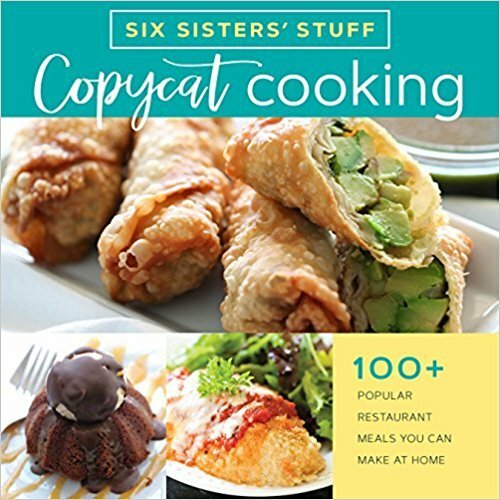 We love copycat recipes from our favorite restaurants because we get to enjoy our favorite foods at home! 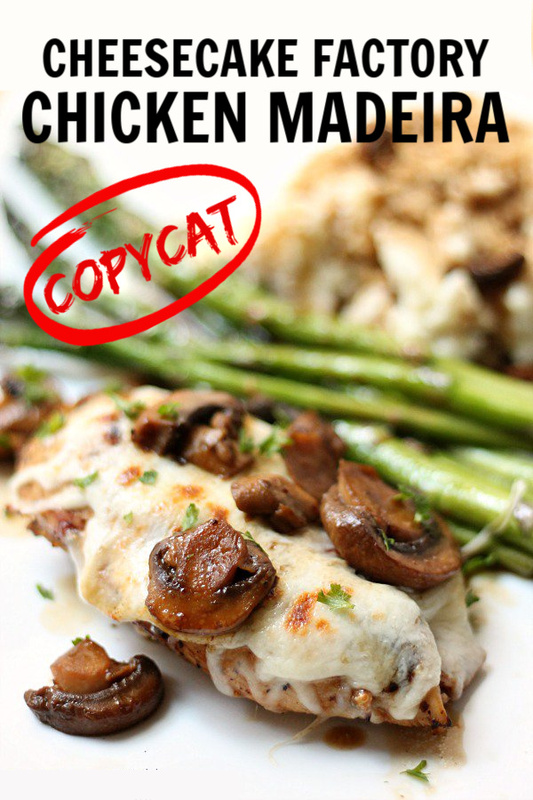 If you loved this Copycat Chicken Madeira for dinner, try out Cheesecake Factory Oreo Cheesecake for dessert! If you’re going for the full restaurant experience, we like to serve ours with Easy Broiled Asparagus and Homemade Mashed Potatoes just like the cheesecake factory. Every single time we go to The Cheesecake Factory, I order this dish without fail. We modified it a little bit to fit the ingredients we had on hand, but it's still a cheesy, delicious family favorite around here! Pound chicken breasts until they are about 1/4" thick. Shake balsamic vinaigrette, brown sugar, and olive oil together in a sealed Ziploc bag. Add chicken and marinade for at least 30 minutes. 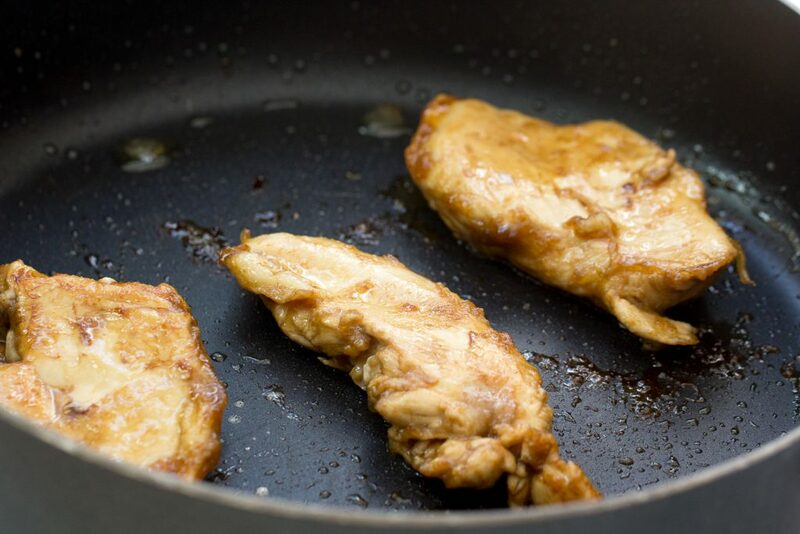 Remove chicken from bag and place in a large skillet with olive oil, cook 4-6 minutes on each side (until chicken is a golden brown). Once browned, remove chicken and place in an oven safe dish. Bake for 10-15 minutes until chicken is cooked through. In the same skillet used for cooking the chicken, melt butter over medium heat. Add mushrooms and sauté for 2-3 minutes. Add remaining ingredients and bring to a boil. Reduce heat and simmer for 20-25 minutes, until the sauce has reduced by about 50%. Top cooked chicken with mozzarella cheese and broil for 3-4 minutes, until the cheese starts to turn golden. Sprinkle with fresh parsley. Serve chicken immediately with sauce poured over top. We serve it with potatoes and asparagus or green beans, just like the Cheesecake Factory. In this recipe we show you how to make roasted asparagus three different ways! Oh Sisters ! Another great work from your kitchen ! Thank you ! So excited to try this! I love mushrooms! And chicken! And cheese! Can you share a recipe for balsamic vinaigrette? I have balsamic vinegar but not sure how to turn it into a vinaigrette. Thanks!! Similar question as Cynthia. Do you use balsamic vinegar or like a balsamic salad dressing? We bought the store bought balsamic vinaigrette salad dressing and marinade. Kraft makes it. But any brand will work great. This is my favorite thing to get at Cheesecake factory. LOVE YOU guys!